Scholar of the third century; secretary to the patriarch Judah I. (Gen. R. lxxv. 5), and one of the last tannaim. After Judah's death, while Efes conducted a college in southern Judea, on account of which he was called "Efes (in Yerushalmi, "Pas") Daromi" (Yer. Ta'an. iv. 68a; Eccl. R. vii. 7), he was made principal of the academy at Sepphoris, although the dying patriarch had ordered the appointment of Ḥanina b. Ḥama to that position. The latter refused to supersede Efes, who was his senior by two years and a half (Shab. 59b; Ket. 103b; compareYer. l.c. ; Eccl. R. l.c.). Hosha'yah Rabba was one of his disciples, and reported in his name several haggadic remarks, among them one bearing on Isa. lx. 3 (Hebr. ): "Nations shall walk by thy light," from which he argues that Jerusalem will in the future become a torch by the light of which people will walk (Pesiḳ. xxi. 144b). 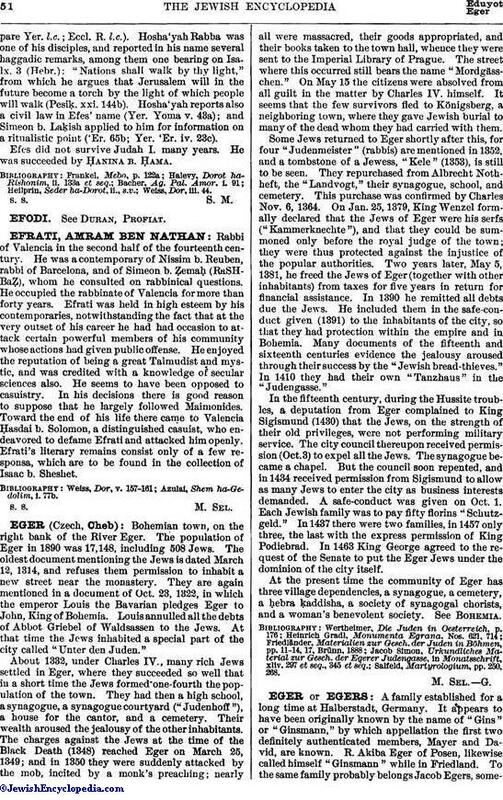 Hosha'yah reports also a civil law in Efes' name (Yer. 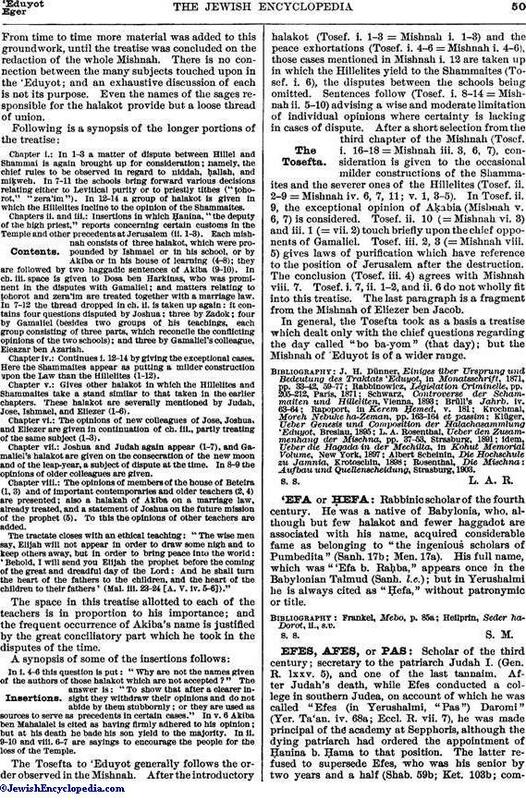 Yoma v. 43a); and Simeon b. Laḳish applied to him for information on a ritualistic point ('Er. 65b; Yer. 'Er. iv. 23c). Efes did not survive Judah I. many years. He was succeeded by Ḥanina b. Ḥama.